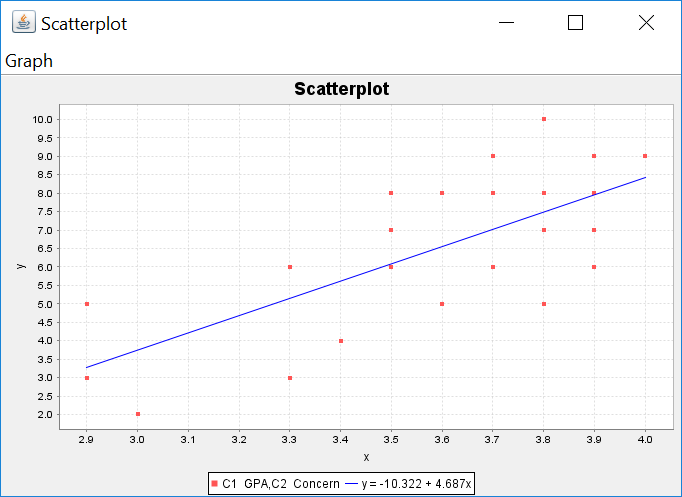 Statcato is a free Java software application developed for elementary statistical computations. 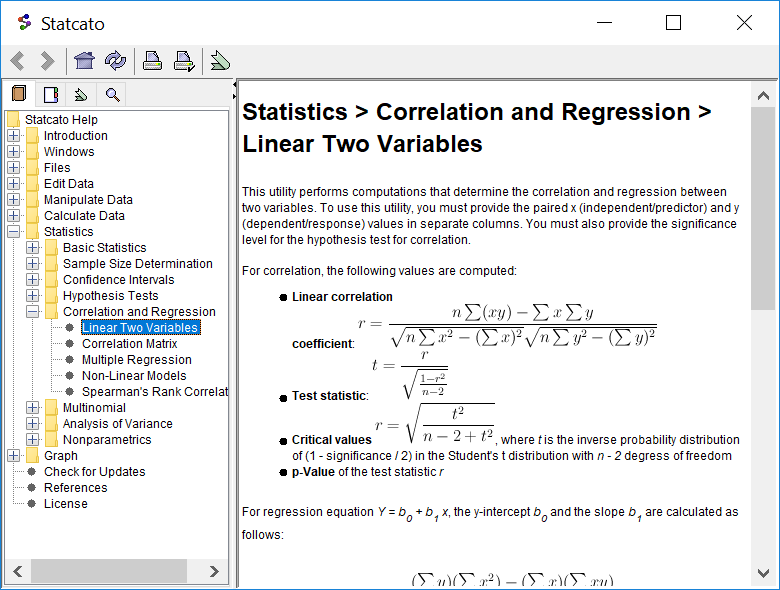 Its features are tailored for introductory statistics students and instructors. 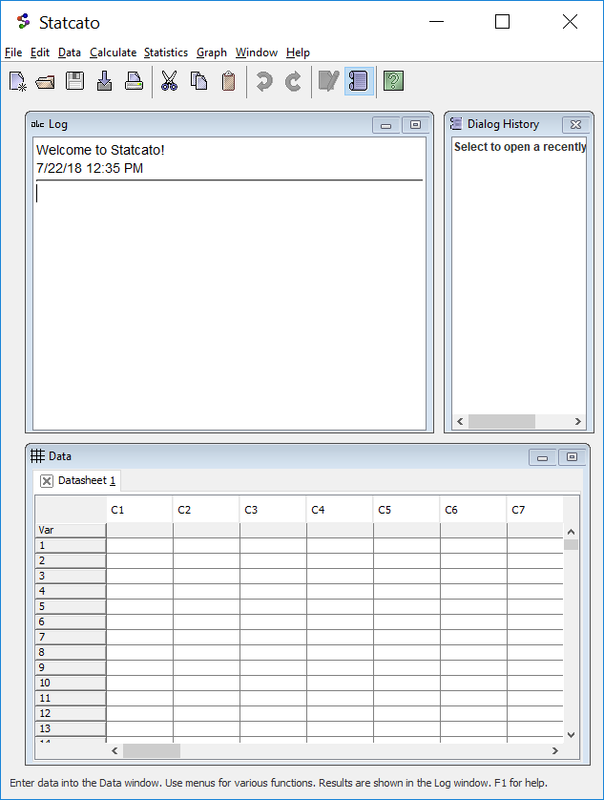 Statcato has two main windows: Log, where outputs of computations are displayed; and Datasheet, which contains sheets of data values that can be edited and manipulated using various utilities provided. Statcato is licensed under GNU General Public License (GPL). The complete source code is available on the Downloads page. 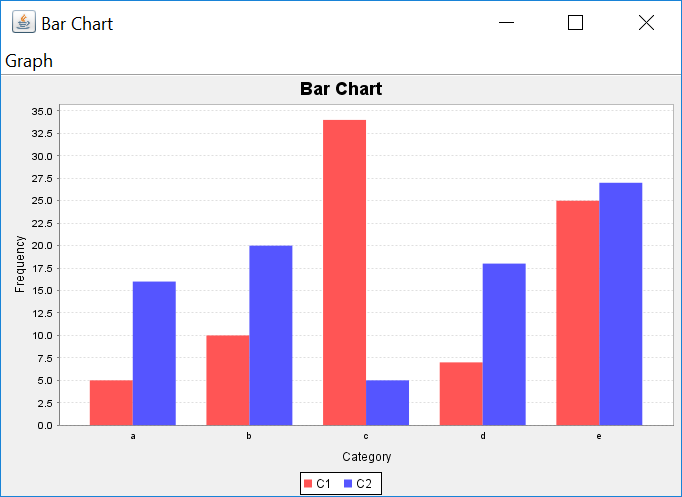 This software incorporates JFreeChart and JFreeReport, (C)opyright 2000-2009 by Object Refinery Limited and Contributors. JFreeChart and JFreeReport are licensed under LGPL. This software also incorporates JAMA, the Java Matrix Package developed by the National Institute of Standards and Technology. Statcato requires Java Runtime Environment (JRE) 1.6 or higher. Download the latest version of Java. You can download Statcato to your computer or launch it directly from your browser using Java Web Start. To download Statcato to your computer, visit Sourceforge. After you have downloaded the zip file, extract the files to a desired location. Navigate to the folder containing the extracted files. To open the application, open the file Statcato.jar. To allow Statcato to run on your computer, open the Java Control Panel ( instructions for Windows / instructions for Mac). 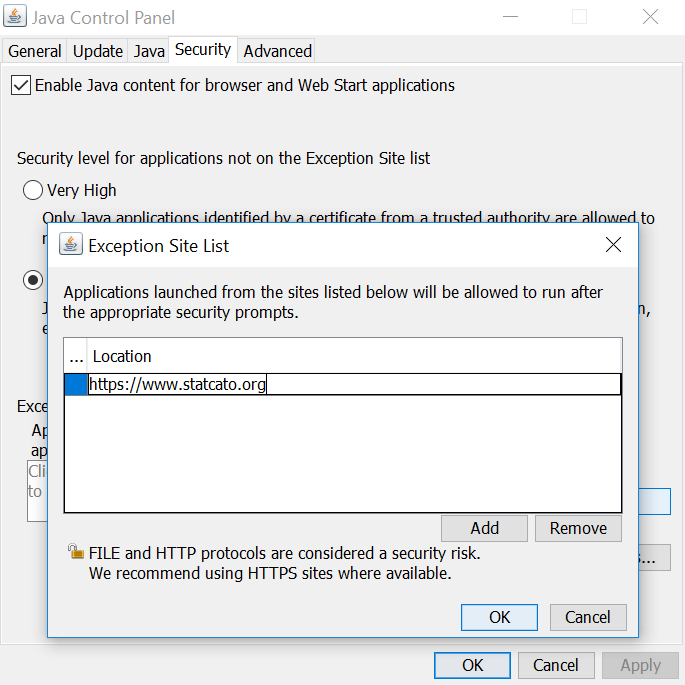 Go to the Security tab in the Java Control Panel, and click Edit Site List. Click the Add button, and enter the web address https://www.statcato.org. Click OK twice to confirm the changes. 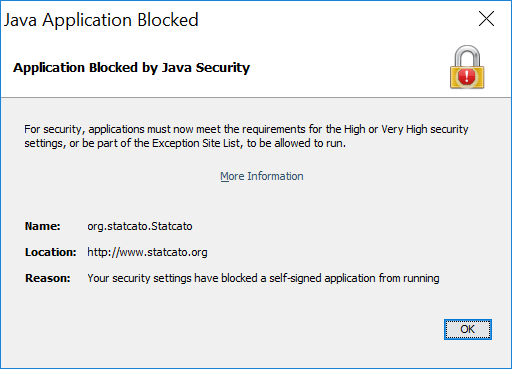 Once the Java security settings have been modified to allow Statcato, try to launch Statcato from your browser again. This laboratory manual is designed to accompany introductory statistics courses with the use of Statcato, a free software application for elementary statistics. It covers the major topics of such courses with detailed instructions on conducting statistical analysis using Statcato. Each lab consists of (1) using a published data set, generating random data, or collecting sample data from the studentâ€™s world, (2) using tools in Statcato to perform statistical analysis, and (3) interpreting computer-generated results and drawing conclusions. This manual follows the structure of and incorporates modules from the book Collaborative Statistics, an open educational resource developed by Barbara Illowsky and Susan Dean. To access the documentation while you are using Statcato, select the Help menu, then click help. You can also press the F1 key to access the help contents. You can also get help with a particular dialog by clicking the help menu bar at the top of the dialog window or by pressing F1. Help and discussion forums for Statcato are available on our SourceForge.net forums. You can also report bugs and request new features through our SourceForge.net trackers. A: Statcato is a free Java software application developed for elementary statistical computations. Its features are tailored for community college statistics students and instructors. Q: What can I do with Statcato? 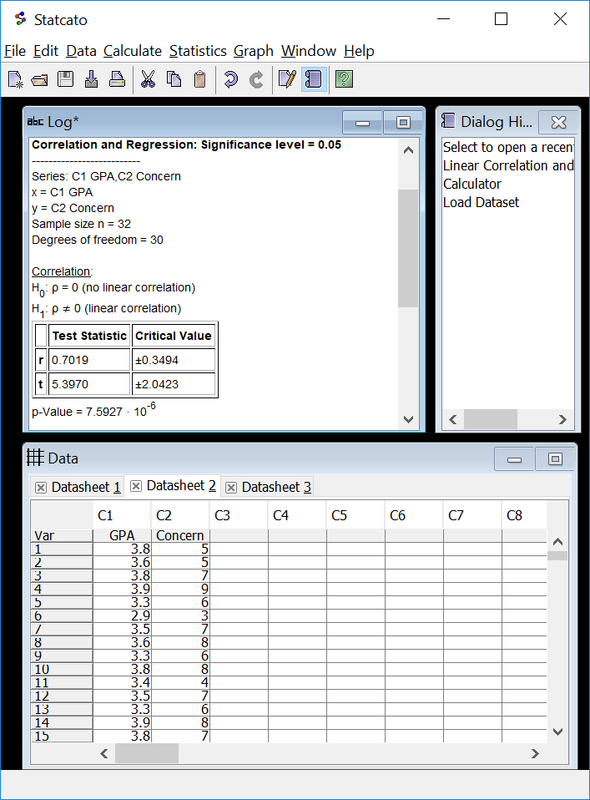 A: Statcato has two main windows: Log, where outputs of computations are displayed; and Datasheet, which contains sheets of data values that can be edited and manipulated using various utilities provided. It supports basic data operations, such as sorting, ranking, standardizing data, and generating random data. It can perform various probability calculations (probability density, cumulative probability, inverse cumulative probability) for a number of distributions. 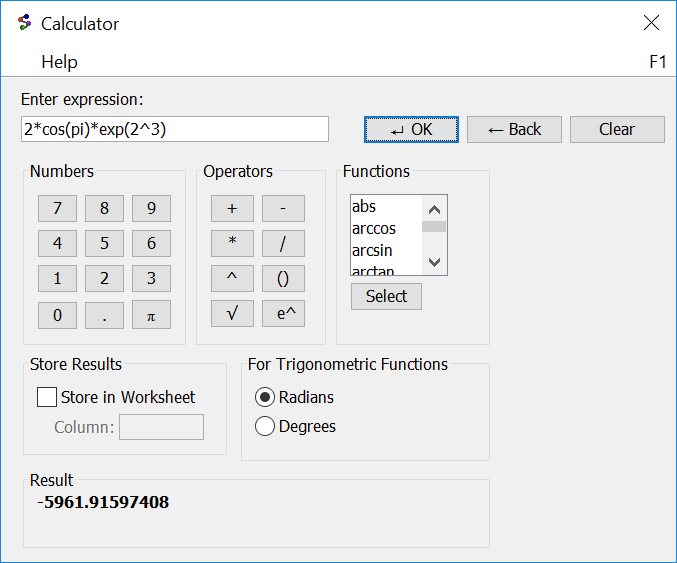 It also supports most topics covered in an elementary statistics course, such as descriptive statistics, confidence intervals, hypothesis tests, correlation, regression, and ANOVA. See features for more details. A: Anyone who needs to perform statistical calculations! Statcato is primarily used by high-school and college students and instructors. I have also heard from researchers who use Statcato to do calculations. Q: Can my computer run Statcato? A: Statcato is built using Java, and so it can be used on any machine that has Java installed, whether your computer runs Windows, Mac, Linux, or UNIX. Q: Do I need to pay to use Statcato? A: No, Statcato is free software. You should not need to pay for it under any circumstances. Q: Is Statcato open-source? How can I contribute? A: Yes, Statcato is open-source, and its source code available on the Downloads section. If you are interested in contributing, please contact us about what you are interested in working. Q: Why is it called Statcato? A: Since statistics is all about data, I visualize like it as a set of data points that might possibly exhibit some patterns. Then I see the manifestation of the musical term "staccato", which describes notes that are unconnected, just like data points that are connected. So I combined the terms "statistics" and "staccato" to coin the name Statcato! Of course, another reason is that I simply like the sound of it! Q: I am new to Statcato. How can I learn more about using it? A: A good way to learn about using Statcato is through the lab manual Exploring Elementary Statistics with Statcato. 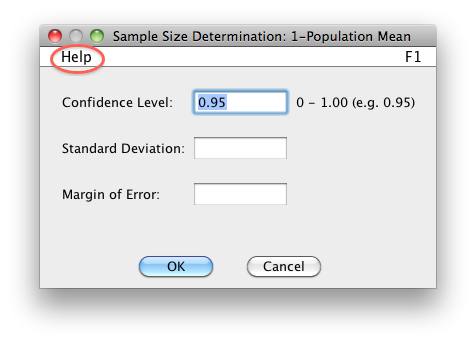 The manual contains step-by-step instructions on using Statcato to perform statistical experiments. Q: How can I get help with Statcato? A: Documentation is available on this Web site as well as within the software. You can also post questions on our support forums or contact us directly. Q: How can I download Statcato? A: You can download Statcato to your computer from our Downloads page. You can also launch Statcato directly from your web browser using Java Web Start. Q: How do I install/uninstall Statcato? A: To install Statcato, extract the contents of the zip file that you have downloaded into the directory of you choice. To uninstall, drag the Statcato directory to the recycle bin/trash. That's all there is to it, as Statcato is self-contained and does not modify the registry. For support, bug report, and feature request, please use our discussion forums. You can also contact Margaret Yau directly through email at myau@statcato.org. Statcato is an open-source software development project created and led by Margaret Yau. Contributing developers include Margaret Yau (since 2008) and Rudolph Esterhuysen (active November 2011 - January 2012). Margaret is grateful for the support from Scott Guth, who not only motivated her to take on this project, but also provided invaluable guidance throughout its development. Scott also contributed the datasets that are built into Statcato. Margaret is also thankful for the mathematics faculty at Mt. San Antonio College, as well as the users of Statcato, for their helpful feedback. Statcato is a volunteer-led project. To help with the operating costs of Statcato (which is free for everyone's use), please consider making a monetary donation to the project maintainer.